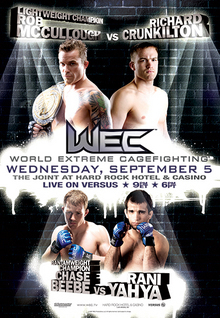 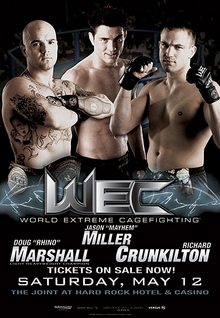 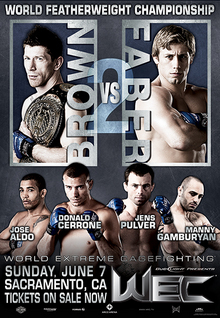 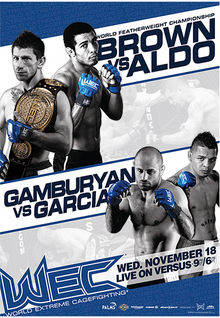 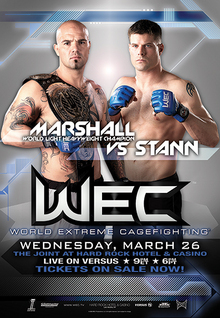 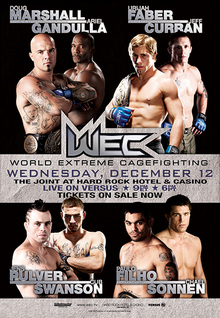 World Extreme Cagefighting was an American mixed martial arts organization founded in 2001. 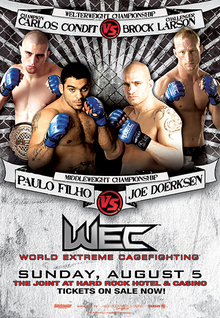 In its final incarnation, it was made up of 3 weight classes: 135 lb (61 kg), 145 lb (66 kg) and 155 lb (70 kg). 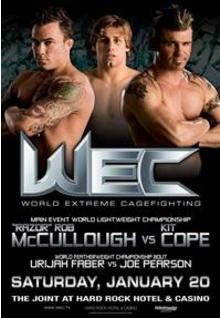 To accommodate the smaller fighters, WEC's cage was 25 feet (7.6 m) in diameter—5 feet (1.5 m) smaller than the standard UFC cage. 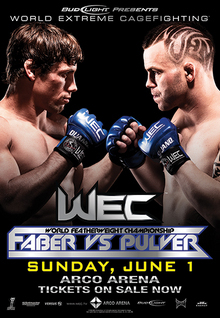 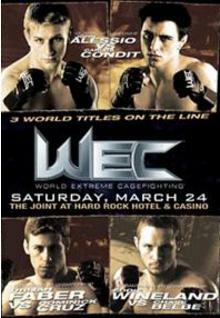 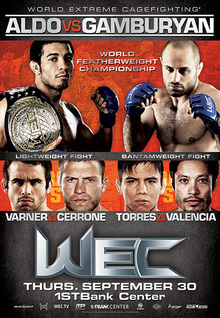 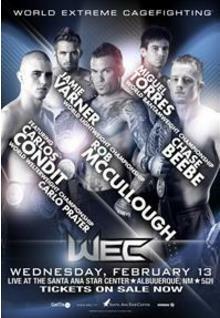 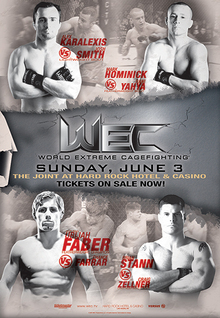 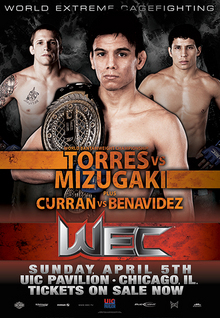 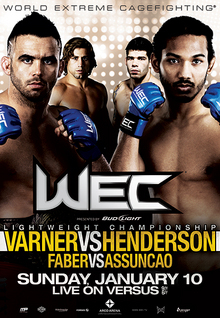 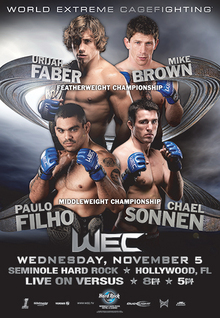 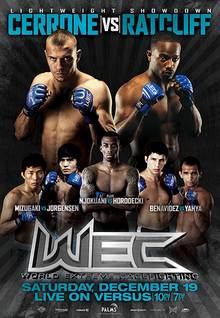 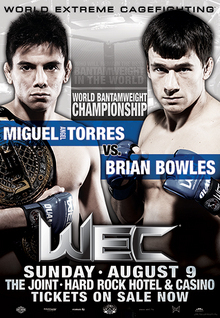 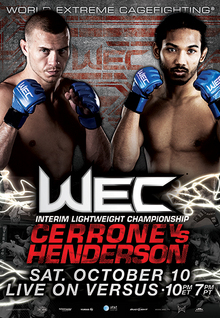 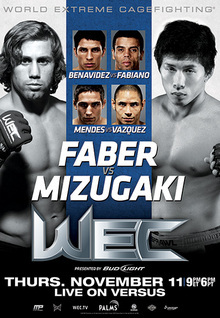 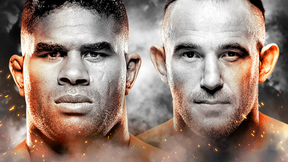 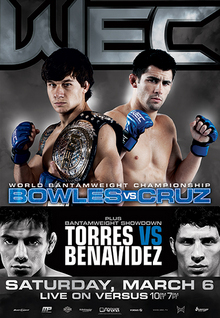 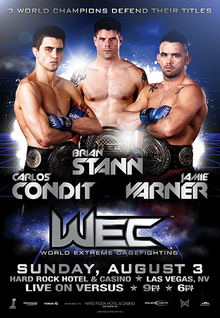 WEC features Dominick Cruz, Jose Aldo, Urijah Faber, Benson Henderson, Carlos Condit, Chael Sonnen, Anthony Pettis, Chad Mendes, Donald Cerrone, Miguel Torres, Cub Swanson, and more.